Note to self: Stop Doubting Hasbro. Last Night before going to bed Hasbro had a special live streaming with the team at Marvel themselves. 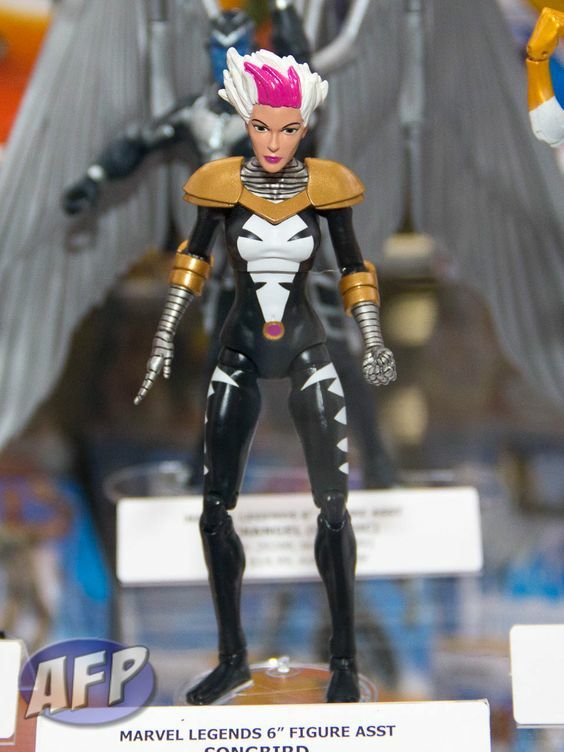 In it they had 4 new figure from various waves, most confirming the rumour listing a bit. 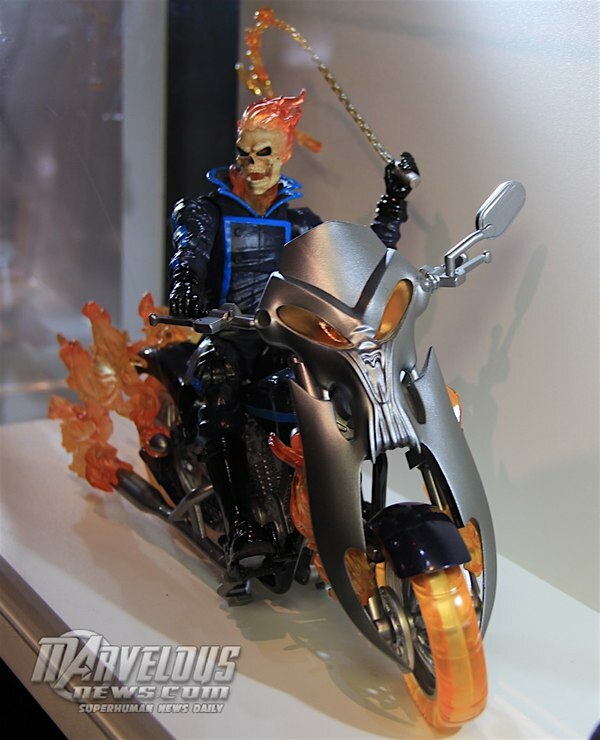 First up, joining Black Widow in the new deluxe/ accessory line is Johnny Blaze’s Ghost Rider!! The figure itself is a much better repaint of the Rhino wave one but with a new flaming chain and a awesome looking flaming bike. Next up is 2 figures from the next Spider-man wave. First is Gwenpool, who was originally a mash-up of Deadpool and Spider-gwen before becoming her own character. She comes from a world like our where Marvel is just comic to her until she was able to travel into the comics themselves. She comes with a large number of accessories, including 2 heads, 3 pairs of hand (one with a cellphone for selfies), her penguin backpack and 2 swords. Next up is a figure that really made my day just by the silliness of it. Spider-punk!! 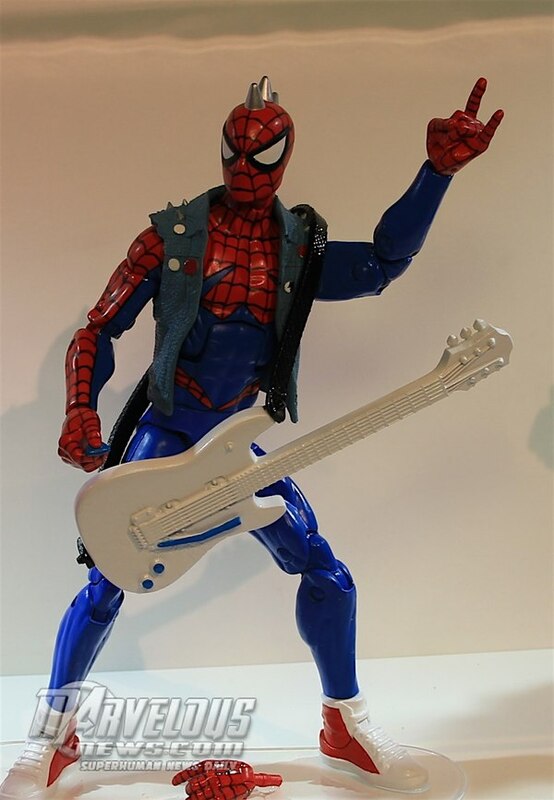 Part of the Spider-verse, Punk is Hobbie Brown from an alternate universe who would fight against President Osborn with his rebelious music and spider-powers. He comes with 3 hands (one pick holding hand, 1 rocker hand and guiter holding hand) and a guitar. I don’t know about you that just prove Hasbro like to have fun. Shartimus will be please. Finally, the first part of the Avengers wave and last year’s fan poll winner is Songbird. 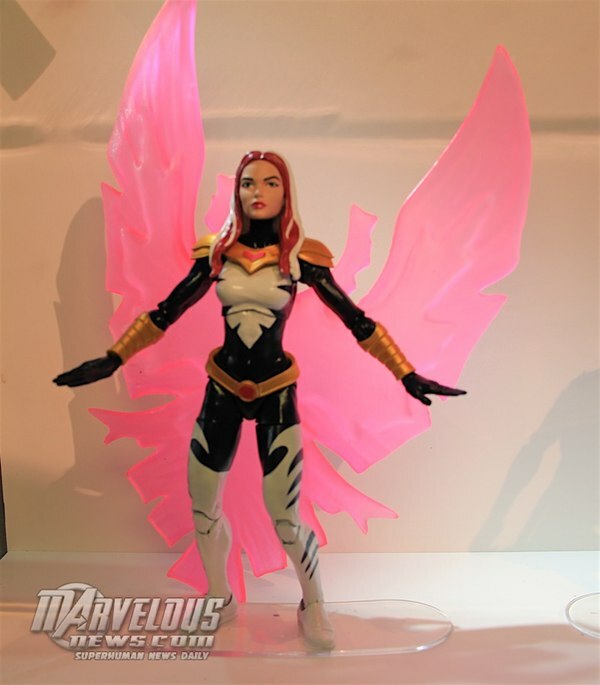 She was originally supposed to come in an earlier wave but that wave was cancelled but now all the figure have made their way into various wave, leaving Songbird the last to be made. She looks to be a mostly different figure and now has longer and better hair, on the Moonstone body. She also comes with beautiful sound construct effect. Hasbro will have their Panel tonight (well for me at least) where they will reveal much more figures. So head over to Marvelousnews.com where the team will be have a semi live stream of what is reveal (just basically reload the page every few minutes).